This campus building is expected to be renamed the Culver Family Welcome Center. The awkwardly titled Alumni Welcome and Conference Center would be named after the family that started Wisconsin’s favorite fast-food chain under the terms of an agreement that has been signed by the UW Oshkosh Foundation and the UW System Board of Regents. The $6.3 million agreement, which includes the naming rights for the Culver Family Welcome Center, is intended to wrap up eight legal disputes that have been underway in state and federal courts. The lawsuits developed after UW Oshkosh refused to make good on promises to back real estate projects that its nonprofit foundation started to support the school. Almost exactly two years after it asserted that the foundation had engaged in “illegal financial transfers” with university officials, the UW System has accepted terms under which it will pay off the bank debt on the welcome center and on a biodigester that is close to the UW Oshkosh campus. In exchange for the payments the system will take title to the 40,000-square-foot welcome center, which overlooks the Fox River at the intersection of Wisconsin Street and Pearl Avenue, and to the biodigester, which is next to the school’s facilities management offices on Witzel Avenue. The UW System said that it would make the required payments out of federal grant overhead that is has accrued. "Federal funds are designated for administrative costs, among other things, for which the settlement is an appropriate use," the system said. "No state general funds or tuition dollars were utilized in this settlement." The UW Oshkosh campus will be on the hook for at least $3.8 million and have to pay the system almost $200,000 a year for each of the next 20 years, according to settlement documents. UW Oshkosh has also agreed to close down a new rival fundraising operation and to allow the foundation to retain about $2 million in pledges from major donors, a sum that will largely cover legal costs the foundation has incurred in its battle with the university. The largest of the outstanding pledges is from Craig Culver, a 1973 graduate of UW Oshkosh who went on to found, along with his parents and his wife, the highly successful Culver’s restaurant chain, famous for its frozen custard, cheese curds and butterburgers. Culver serves on the board of directors of UWO’s foundation. In return for a total gift of $2 million, some of which has already been paid, “naming rights shall be granted in perpetuity to the existing building, which shall be known as Culver Family Welcome Center or a similar designation as approved by Craig Culver,” the newly signed agreement states. Other outstanding pledges are expected to come in from J.J. Keller, the Neenah-based company that specializes in safety and regulatory compliance, and Sodexo, the campus food service contractor. The broad outline of the agreement was announced Dec. 21, but details were not released, pending final settlement on the details by all the parties, which include Wells Fargo Bank, Bank First National, First Business Bank, UW Oshkosh, the UW regents and the UW Oshkosh Foundation. Under the agreement Wells Fargo will get $1.7 million and Bank First National $5.1 million. The reported net cost of the agreement was reached by factoring in $500,000 that First Business Bank has agreed to return to UW Oshkosh. The bank had originally seized $1.2 million from the university but has already returned some of that money. The agreement is a vindication of the position staked out by the foundation--that the transfers were not illegal, that it had been acting on behalf of the university and that it had relied on assurances, either implied or expressly stated, that UWO and the UW System would provide financial backup if necessary. 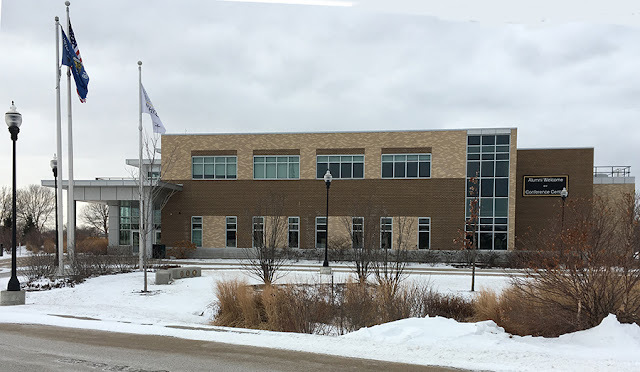 The plan is to combine the UW Oshkosh Foundation and the new Titan Alumni Foundation with the older organization maintaining its campus presence in offices at the welcome center. Going forward the UW Oshkosh Foundation will be headed by a CEO hired and compensated by its board of directors. The previous foundation heads had been university employees.